It’s true. 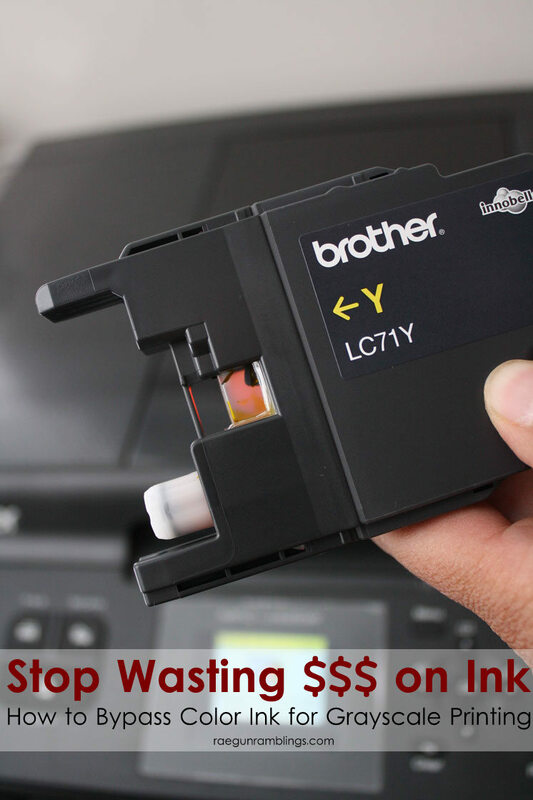 You can fool your printer and reclaim your ability to print black and white without wasting money on color ink that you won’t really use! I love my Brother Printer but, it makes me SO mad when my printer refuses to print grayscale because one of my color cartridges is low. 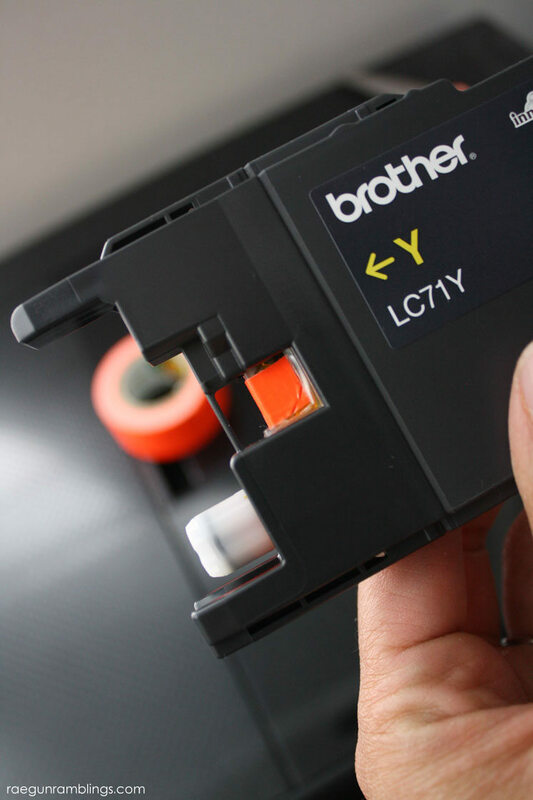 Why the heck did I buy a printer with separate cartridges in the first place? Luckily it is possible trick the printer into thinking the color cartridges are full and force it to print grayscale. This trick is SO easy I cannot believe I didn’t figure it out sooner. Cut a small piece of tape and place it over the window on an empty ink cartridge. Yup it’s that easy!!! 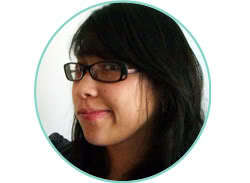 For my printer even if I only print grayscale some how my color ink cartridges drain. It’s SO frustrating. 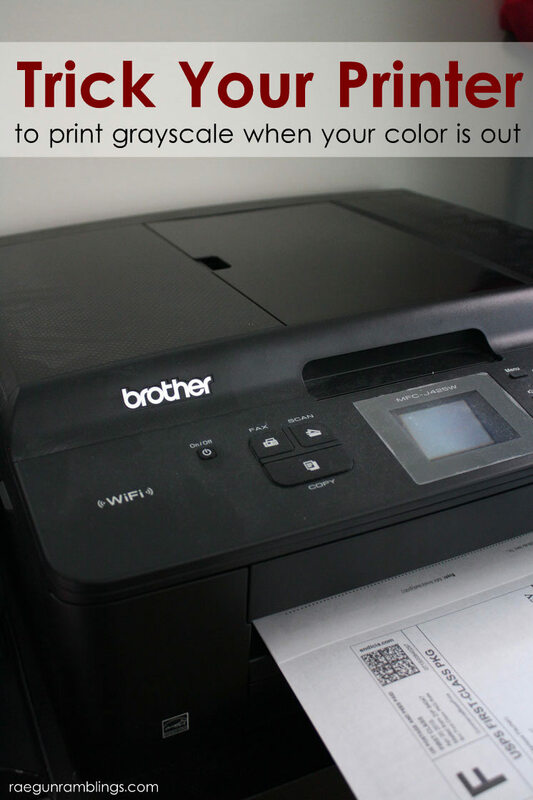 Thankfully if you mostly print black and white you can use this trick so that you’re not just throwing money away on color ink. Pretty neat right? Spread the word share this with your friends so they won’t be wasting their money either! These are great tips, thank you for sharing. I found your post while stumbling. Oh cool I love hearing how people find me! so cool!! I wonder if this would work on other kinds of ink cartridges? I have an HP and will have to play around with this!! How resourceful! Trying this so that I can save colored ink for more important documents that are needed in color. Thank you for this informative post Marissa! You are a life saver – God bless you!